Life always feels better when you have warm comfort choices. That's what makes your home so unique and cozy. 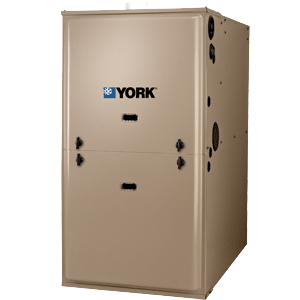 And that's why our Latitude Gas Furnaces provide a full line of choices that deliver dependable performance, energy efficiency and operating economy, which can ultimately save you money. And because it's built by York — the industry leader in innovative design — you know your home will feel comfortable for years to come. 95.5% AFUE efficiency lowers fuel cost and consumption.